Central Hutt is an easy 15-20 minute drive from Wellington (given that there is no traffic) and started as a tiny settlement clustered around the bridge spanning the Hutt River. Today it is home to more than 3500 residents who all enjoy the convenience of living close to the city’s many amenities. Central Hutt provides ample opportunity for your family to thrive with so many facilities and services located within walking distance. Savour a cup of coffee in one of the area’s many cafes or enjoy a satisfying dinner at a first rate restaurant in the Central Business District – the choice is yours! One of the agents here at Professionals, Redcoats Limited enjoys living in Central Hutt which is reflected in the following comment when he says “what can we say about Central Hutt? It’s walking! 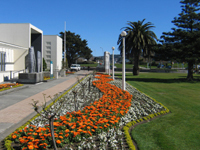 Walking to what you say… Queensgate shopping, Event Cinemas, Eastern Hutt School, Central Business Area, Cafes, Waterloo and Epuni Stations, Hutt Hospital, St Bernard’s College and a choice of supermarkets. These are only a few of the advantages of living in Central Cental Hutt but one of the most important is…Walking is good for your health! Our agent is also a keen golfer and highly recommends Boulcotts farm heritage golf club which is on the borderline of Central Hutt & Boulcott. Great schooling is available and a few of the schools within walking distance include the public schools of Eastern Hutt, Hutt Intermediate, and Hutt Valley High School. Private schools include Chilton St. James, St. Bernards, St. Orans, Sacred Heart College, and Saints Peter and Pauls.